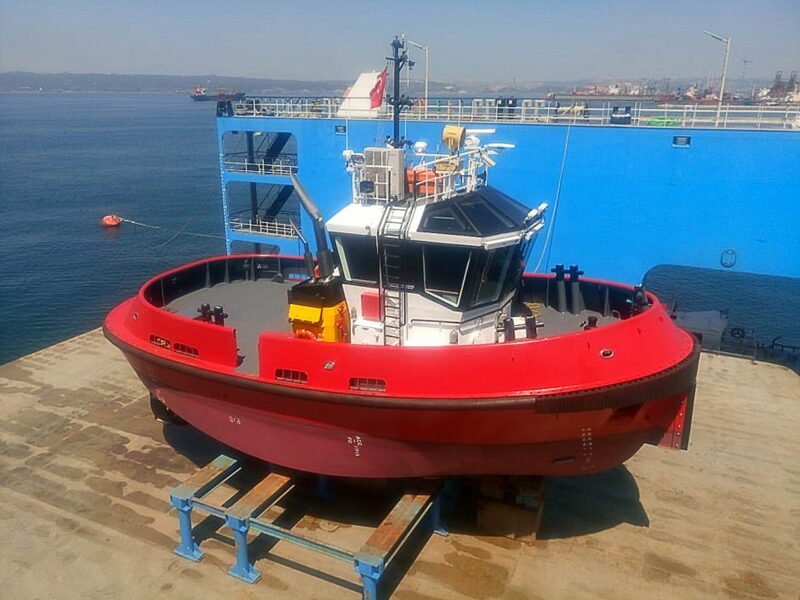 Gökçay II, the second RApport 1600-SX tug built by Sanmar Shipbuilders, was completed in August, the first vessel of this design being delivered in May. The two tugs are identical except the Gökçay II has a more conservative power rating of 600 hp at 1800 rpm for a bollard pull slightly over 16 tonnes. These simple and economical tugs benefit from the latest design and construction technology for excellent performance and safety. 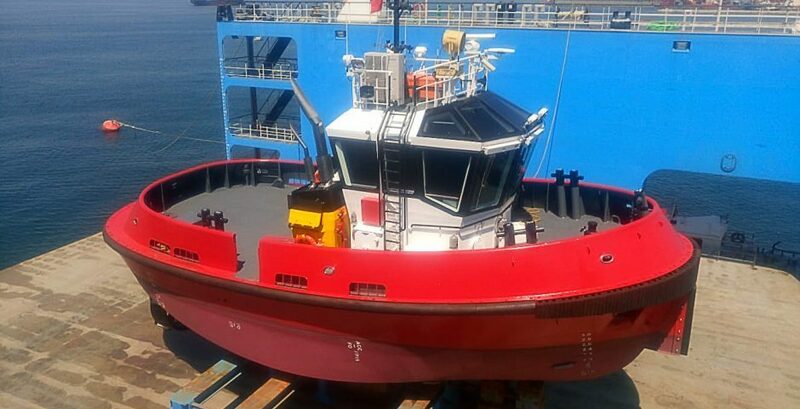 The new RApport 1600-SX, designed exclusively for Sanmar Shipbuilders, is a safe, robust, and seaworthy tug ideal for general harbour duties. It meets all international and Class standards for construction and stability. The tugs are built to a very high standard of finish and available for quick delivery with details customized to the owner’s requirements.